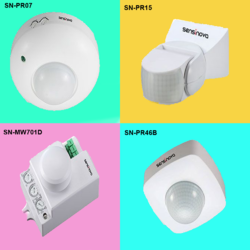 Leading Wholesaler of microwave motion sensor.- sn-mw701d, motion sensor tube light with dimming - sn-t8-dl18 - 18 watt, motion sensor light control switch with timer - sn-pc300, motion sensor with door trigger - sn - airs02, street light motion sensor - sn-pc308 and street light motion sensor - sn-pc302 from Coimbatore. We hold immense expertise in wholesaling, trading, distributing and supplying a broad range of Microwave Motion Sensors SN-MW701D. This motion sensor is ideal for Conference rooms,Meeting halls, Basements, Corridors,Offices. The offered motion sensor is developed with manual override on operational modes, universal mounting design, and quick installation mode. In addition, we also offer this motion sensor in a variety of specifications as per the need of customers. Detects Motions even through glass panes, thin walls, POP,Option of Sensitivity Control, can be fitted in any type of decorative Lamps, Indoor Application. Excellent result between -20 to +70 Deg Temperature. Conference Rooms / Meeting Halls, Basements. Corridors, Offices. We hold immense expertise in wholesaling, trading, distributing and supplying a broad range of 18 WATT TUBE LIGHT WITH DIMMING - SN-T8-DL18. This motion sensor is ideal for Parking, Basements, Stairways,Green Gallery, Balcony, Home or Office Lightings.The offered motion sensor is developed with manual override on operational modes, universal mounting design, and quick installation mode. In addition, we also offer this motion sensor in a variety of specifications as per the need of customers. Ø Trigger: Full Power 18W Light turns to micro Light 3.5W (30s dim) after out of the induction area. Parking, Basements, Stairways, Green Gallery, Balcony, Balcony, Home or Office Lightings. 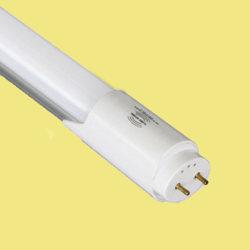 We are the leading manufacturer and suppliers for 18 WATT TUBE LIGHT WITH DIMMIMG in South India Such As Thiruvallur, Chennai, Kancheepuram, Vellore, Thiruvannamalai, Krishnagiri, Dharamapuri, Villipuram, Cuddalore, Salem, Erode, Namakal, Perambalur, Nilgiris, Coimbatore, Tiruppur, Karur, Tiruchchirapalli, Ariyalur, Nagapattinam, Thanjavur, Thiruvarur, Nagapattinam, Pudukkotai, Dindigul, Theni, Madurai, Sivagangai, Ramanathapuram, Virudunagar, Tirunelveli, Thoothukudi, Kanniyakumari, Hosur, Rajapalayam, Puduchcheri, Kerala. Usage/Application Glow Signs,Signages,Hoardings,Garden Lights Etc. We hold immense expertise in wholesaling, trading, distributing and supplying a broad range of Light Control Switch With Timer - SN-PC300. This motion sensor is ideal for Glow Signs, Signages,Hoardings, Gardens Lights etc.The offered motion sensor is developed with manual override on operational modes, universal mounting design, and quick installation mode. In addition, we also offer this motion sensor in a variety of specifications as per the need of customers. Ø It Turns Light On Automatically according to ambient light. Switches Off the light as per the Timer set in intervals of 1 hr max upto 9 hrs. It can also work as dusk to dawn (photocell).Current Rating of Load upto – 10A. IP44 Standard. Ø Built-in Timer: 1, 2, 4, 6, 8, 9 Hours. Ø Glow Signs, Signages, Hoardings, Garden Lights Etc. Etc. We Are The Leading Manufacturer And Suppliers For LIGHT CONTROL SWITCH WITH TIMER. In South India Such As Thiruvallur, Chennai, Kancheepuram, Vellore, Thiruvannamalai, Krishnagiri, Dharamapuri, Villipuram, Cuddalore, Salem, Erode, Namakal, Perambalur, Nilgiris, Coimbatore, Tiruppur, Karur, Tiruchchirapalli, Ariyalur, Nagapattinam, Thanjavur, Thiruvarur, Nagapattinam, Pudukkotai, Dindigul, Theni, Madurai, Sivagangai, Ramanathapuram, Virudunagar, Tirunelveli, Thoothukudi, Kanniyakumari, Hosur, Rajapalayam, Puduchcheri, Kerala. We hold immense expertise in wholesaling, trading, distributing and supplying a broad range of IR Sensor (Door Trigger) - SN-AIRS02. This motion sensor is ideal for Cabinets, Night Lamps, Etc.The offered motion sensor is developed with manual over ride on operational modes, universal mounting design, and quick installation mode. In addition, we also offer this motion sensor in a variety of specifications as per the need of customers. Ø Cabinets, Night Lamps Etc. We Are The Leading Manufacturer And Suppliers For IR SENSOR (DOOR TRIGGER)In South India Such As Thiruvallur, Chennai, Kancheepuram, Vellore, Thiruvannamalai, Krishnagiri, Dharamapuri, Villipuram, Cuddalore, Salem, Erode, Namakal, Perambalur, Nilgiris, Coimbatore, Tiruppur, Karur, Tiruchchirapalli, Ariyalur, Nagapattinam, Thanjavur, Thiruvarur, Nagapattinam, Pudukkotai, Dindigul, Theni, Madurai, Sivagangai, Ramanathapuram, Virudunagar, Tirunelveli, Thoothukudi, Kanniyakumari, Hosur, Rajapalayam, Puduchcheri, Kerala. We hold immense expertise in wholesaling, trading, distributing and supplying a broad range of TWILIGHT SENSOR – SN-PC308. This motion sensor is ideal for Street light, Garden Light, Society Light etc.The offered motion sensor is developed with manual override on operational modes, universal mounting design, and quick installation mode. In addition, we also offer this motion sensor in a variety of specifications as per the need of customers. It Turns light on and Off Automatically according to ambient light. Can set light level at which load is to be switched on, Current Rating of Load up to – 20A. IP65 Standard. Outdoor Application. 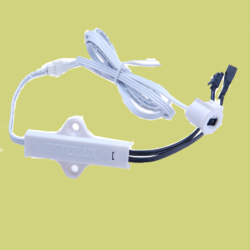 We Are The Leading Manufacturer And Suppliers For TWILIGHT SENSOR In South India Such As Thiruvallur, Chennai, Kancheepuram, Vellore, Thiruvannamalai, Krishnagiri, Dharamapuri, Villipuram, Cuddalore, Salem, Erode, Namakal, Perambalur, Nilgiris, Coimbatore, Tiruppur, Karur, Tiruchchirapalli, Ariyalur, Nagapattinam, Thanjavur, Thiruvarur, Nagapattinam, Pudukkotai, Dindigul, Theni, Madurai, Sivagangai, Ramanathapuram, Virudunagar, Tirunelveli, Thoothukudi, Kanniyakumari, Hosur, Rajapalayam, Puduchcheri, Kerala. We hold immense expertise in wholesaling, trading, distributing and supplying a broad range of TWILIGHT SENSOR – SN-PC302. This motion sensor is ideal for Street light, Garden Light, Society Light etc.The offered motion sensor is developed with manual override on operational modes, universal mounting design, and quick installation mode. In addition, we also offer this motion sensor in a variety of specifications as per the need of customers. It Turns light on and Off Automatically according to ambient light. Can set light level at which load is to be switched on, Current Rating of Load up to – 10A. Street Light, Garden Lights, Society Lights. Etc. 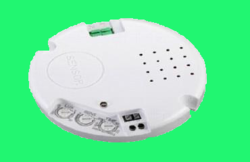 We hold immense expertise in wholesaling, trading, distributing and supplying a broad range of Ceiling Mount High Sensitivity Occupancy / Presence Sensor - SN-PR46B . This motion sensor is ideal for Meeting Rooms, Office Cabins, Staircase. The offered motion sensor is developed with manual override on operational modes, universal mounting design, and quick installation mode. In addition, we also offer this motion sensor in a variety of specifications as per the need of customers. Ø Time Settings up to 30 min. Highly Sensitive. Ø Load up to 2000W.Inst. Height – 2.2m to 6mtr. Best result on 24 deg temp. Ø Installation Height : 2-2m – 6m, IP54. Ø Meeting Rooms, Office Cabins, Staircase. 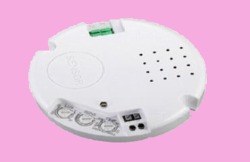 We Are The Leading Manufacturer And Suppliers For CEILING MOUNT HIGH SENSITIVITY OCCUPANCY SENSOR In South India Such As Thiruvallur, Chennai, Kancheepuram, Vellore, Thiruvannamalai, Krishnagiri, Dharamapuri, Villipuram, Cuddalore, Salem, Erode, Namakal, Perambalur, Nilgiris, Coimbatore, Tiruppur, Karur, Tiruchchirapalli, Ariyalur, Nagapattinam, Thanjavur, Thiruvarur, Nagapattinam, Pudukkotai, Dindigul, Theni, Madurai, Sivagangai, Ramanathapuram, Virudunagar, Tirunelveli, Thoothukudi, Kanniyakumari, Hosur, Rajapalayam, Puduchcheri, Kerala. Usage/Application Specially for Mirror,Cabinets,Lockers,Safe,Wardrobes etc. We hold immense expertise in wholesaling, trading, distributing and supplying a broad range of Touching Dimmer – SN-ADIR06. This motion sensor is ideal for Specially for Mirror, Cbinets, Lockers, Safe, Wardrobes,etc.The offered motion sensor is developed with manual override on operational modes, universal mounting design, and quick installation mode. In addition, we also offer this motion sensor in a variety of specifications as per the need of customers. Ø Once blue Button turn on, soft touch the surface of switch, move your finger away, then the light on, Touch the surface of sensor again and move your finger away, the light off, then touch the dimmer and hold on your finger, you will see the light is dimmable. Ø Dust-Proof, against solid things and waterproof level:IP20. Ø Specially for Mirror, Cabinets, Lockers, Safe, Wardrobes etc. We Are The Leading Manufacturer And Suppliers For TOUCHING DIMMER In South India Such As Thiruvallur, Chennai, Kancheepuram, Vellore, Thiruvannamalai, Krishnagiri, Dharamapuri, Villipuram, Cuddalore, Salem, Erode, Namakal, Perambalur, Nilgiris, Coimbatore, Tiruppur, Karur, Tiruchchirapalli, Ariyalur, Nagapattinam, Thanjavur, Thiruvarur, Nagapattinam, Pudukkotai, Dindigul, Theni, Madurai, Sivagangai, Ramanathapuram, Virudunagar, Tirunelveli, Thoothukudi, Kanniyakumari, Hosur, Rajapalayam, Puduchcheri, Kerala. We hold immense expertise in wholesaling, trading, distributing and supplying a broad range of IR SENSOR (Door Trigger) – SN-AIRS04. 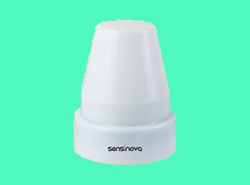 This motion sensor is ideal for Cabinet, Night Lamps,etc. 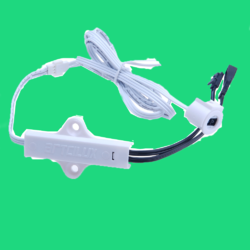 etc.The offered motion sensor is developed with manual override on operational modes, universal mounting design, and quick installation mode. In addition, we also offer this motion sensor in a variety of specifications as per the need of customers. Ø To be standing in the front of the sensor, the LED lamp will turn on and off through moving hand or any object. Ø Cabinets, Night Lamps, etc. We hold immense expertise in wholesaling, trading, distributing and supplying a broad range of MICROWAVE LED SENSOR LAMP WITH DIMMER - SN-LP70B. 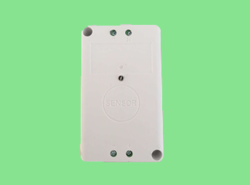 This motion sensor is ideal for Living Rooms, Balcony, Staircase, Corridors, Lifts etc..The offered motion sensor is developed with manual override on operational modes, universal mounting design, and quick installation mode. In addition, we also offer this motion sensor in a variety of specifications as per the need of customers. 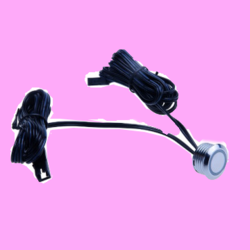 Ø Detection Distance: wall: 5-15m (Adjustable), Ceiling: 2-8m(radius), Adjustable. Ø Ceiling 2-4m, IP54, IK10. Ø Living Rooms, Balcony, Staircase, Corridors, Lifts. We Are The Leading Manufacturer And Suppliers For Microwave Led Sensor Lamp With Dimmer In South India Such As Thiruvallur, Chennai, Kancheepuram, Vellore, Thiruvannamalai, Krishnagiri, Dharamapuri, Villipuram, Cuddalore, Salem, Erode, Namakal, Perambalur, Nilgiris, Coimbatore, Tiruppur, Karur, Tiruchchirapalli, Ariyalur, Nagapattinam, Thanjavur, Thiruvarur, Nagapattinam, Pudukkotai, Dindigul, Theni, Madurai, Sivagangai, Ramanathapuram, Virudunagar, Tirunelveli, Thoothukudi, Kanniyakumari, Hosur, Rajapalayam, Puduchcheri, Kerala. We hold immense expertise in wholesaling, trading, distributing and supplying a broad range of MICROWAVE LED SENSOR LAMP WITH DIMMER. 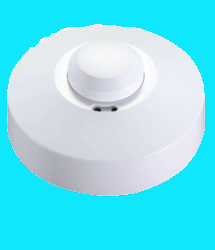 This motion sensor is ideal for Living room, Balcony, Staircase, Corridors, Lifts etc.The offered motion sensor is developed with manual override on operational modes, universal mounting design, and quick installation mode. In addition, we also offer this motion sensor in a variety of specifications as per the need of customers. Microwave LED Sensor Lamp with Dimming Option, 10W Output. Detection Distance: wall: 5-15m (Adjustable), Ceiling:2-8m(radius), Adjustable. Living Rooms, Balcony, Staircase, Corridors, Lifts. We hold immense expertise in wholesaling, trading, distributing and supplying a broad range of 32 WATT TUBE LIGHT WITH DIMMING - SN-T8-DL32. 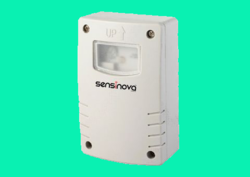 This motion sensor is ideal for Parking Basements, Stairways, Green Gallery, Balcony, Home or Office Lighting etc.The offered motion sensor is developed with manual override on operational modes, universal mounting design, and quick installation mode. In addition, we also offer this motion sensor in a variety of specifications as per the need of customers. Ø Trigger : Full Power 32W Light turns to micro Light 7W (30s dim) after out of the induction area. Ø Parking, Basements, Stairways, Green Gallery, Balcony, Balcony, Home or Office Lightings. 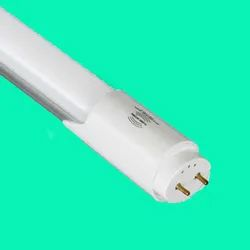 We are the leading manufacturer and suppliers for 32 WATT TUBE LIGHT WITH DIMMIMG in South India Such As Thiruvallur, Chennai, Kancheepuram, Vellore, Thiruvannamalai, Krishnagiri, Dharamapuri, Villipuram, Cuddalore, Salem, Erode, Namakal, Perambalur, Nilgiris, Coimbatore, Tiruppur, Karur, Tiruchchirapalli, Ariyalur, Nagapattinam, Thanjavur, Thiruvarur, Nagapattinam, Pudukkotai, Dindigul, Theni, Madurai, Sivagangai, Ramanathapuram, Virudunagar, Tirunelveli, Thoothukudi, Kanniyakumari, Hosur, Rajapalayam, Puduchcheri, Kerala. We hold immense expertise in wholesaling, trading, distributing and supplying a broad range of WIR SENSOR (HAND SHAKING) - SN-WAIR04. 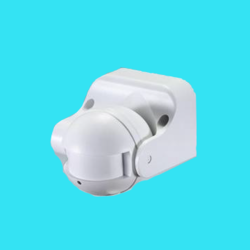 This motion sensor is ideal for Cabinets, Night Lamps etc.The offered motion sensor is developed with manual override on operational modes, universal mounting design, and quick installation mode. In addition, we also offer this motion sensor in a variety of specifications as per the need of customers. Dust-Proof, against solid things and waterproof level: IP20. 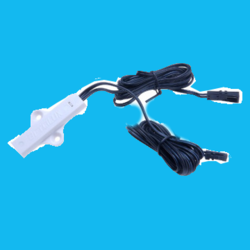 We Are The Leading Manufacturer And Suppliers For WIR SENSOR(HAND SHANKING) In South India Such As Thiruvallur, Chennai, Kancheepuram, Vellore, Thiruvannamalai, Krishnagiri, Dharamapuri, Villipuram, Cuddalore, Salem, Erode, Namakal, Perambalur, Nilgiris, Coimbatore, Tiruppur, Karur, Tiruchchirapalli, Ariyalur, Nagapattinam, Thanjavur, Thiruvarur, Nagapattinam, Pudukkotai, Dindigul, Theni, Madurai, Sivagangai, Ramanathapuram, Virudunagar, Tirunelveli, Thoothukudi, Kanniyakumari, Hosur, Rajapalayam, Puduchcheri, Kerala. We hold immense expertise in wholesaling, trading, distributing and supplying a broad range of Microwave Sensor & Driver -SN-MW731C . This motion sensor is ideal for Entrance, Corridors, Walk Through Passages, Garage, Staircase, Basements, Carparks. The offered motion sensor is developed with manual override on operational modes, universal mounting design, and quick installation mode. In addition, we also offer this motion sensor in a variety of specifications as per the need of customers. Ø Can identify day and Night: It can work in the day time and at night when it is adjusted on the “sun” position(max) It can work in the ambient light less than 3 Lux,When it is adjusted on the “3” position (min). As for the adjustment pattern, Please refer to the testing pattern, SENS Adjustable, it can be adjusted according to using location, The detection distance of low sensitivity could be only 4m and high sensitivity could be 16m which fits for large room. Ø Daylight Sensor: 5Lux, 15 Lux, 50Lux,2000Lux. Ø Entrance, Corridors, Walk Through Passages, Garage, Staircase, Basement, Car parks. We Are The Leading Manufacturer And Suppliers For MICROWAVE SENSOR In South India Such As Thiruvallur, Chennai, Kancheepuram, Vellore, Thiruvannamalai, Krishnagiri, Dharamapuri, Villipuram, Cuddalore, Salem, Erode, Namakal, Perambalur, Nilgiris, Coimbatore, Tiruppur, Karur, Tiruchchirapalli, Ariyalur, Nagapattinam, Thanjavur, Thiruvarur, Nagapattinam, Pudukkotai, Dindigul, Theni, Madurai, Sivagangai, Ramanathapuram, Virudunagar, Tirunelveli, Thoothukudi, Kanniyakumari, Hosur, Rajapalayam, Puduchcheri, Kerala. Detecting Angle 360 / 180 DEGREE. We hold immense expertise in wholesaling, trading, distributing and supplying a broad range of Microwave Sensor & Driver -SN-MW731B . This motion sensor is ideal for Entrance, Corridors, Walk Through Passages, Garage, Staircase, Basements, Carparks. The offered motion sensor is developed with manual override on operational modes, universal mounting design, and quick installation mode. In addition, we also offer this motion sensor in a variety of specifications as per the need of customers. Can identify day and Night: It can work in the day time and at night when it is adjusted on the “sun” position(max) It can work in the ambient light less than 3 Lux,When it is adjusted on the “3” position (min). As for the adjustment pattern, Please refer to the testing pattern, SENS Adjustable, it can be adjusted according to using location, The detection distance of low sensitivity could be only 4m and high sensitivity could be 16m which fits for large room. Ø Detection Distance: 5-15m(Adjustable), Ceiling: 2-8m(Radius), Adjustable. Our company has acquired a commendable position in the industry for the trading and supplying of an extensive range of energy conservation systems. We offer occupancy sensor switch. We have reasonably price occupancy sensor switches. Trading and supplying a wide range of occupancy sensor switches has enabled us to serve the clients in an effective manner. Our range has gained high acclamation by the clients for their optimum quality, reliability and many other features. These switches are checked by our quality controllers on different parameters to make sure that they perform flawlessly. A product for better & greener world. Our product pir light switch makes it possible to turn the light on as & when needed. 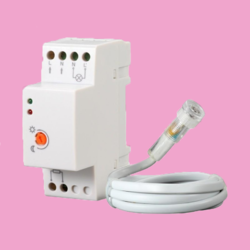 passive infra red light switch is a user friendly electronic gadget that can play a vital role in energy saving by eliminating manual control on application lighting. Its sleek and easy to adjust interface can help user to trim gadget to application suitable output. It is a quad element sensor which detects the slightest motion in the field. One can adjust on-time, lux trip level and sensitivity at a trip of screw driver for well groomed and dependable performance. Passive infra red light switch is a user friendly electronic gadget that can play a vital role in energy saving by eliminating manual control on application lighting. Its sleek and easy to adjust interface can help user to trim gadget to application suitable output. It is a dual element sensor which gives you a better result. One can adjust on-time, lux trip level and sensitivity at a trip of screw driver for well groomed and dependable performance. Use with tube lights, cfl, incandescent lamps, led, halogen. Use in passage, parking, leaving room, office, toilets, staircases, elevators etc. Model is very useful in the indoor applications. We Are The Leading Manufacturer And Suppliers For Occupancy Sensor Switches In South India Such As Thiruvallur, Chennai, Kancheepuram, Vellore, Thiruvannamalai, Krishnagiri, Dharamapuri, Villipuram, Cuddalore, Salem, Erode, Namakal, Perambalur, Nilgiris, Coimbatore, Tiruppur, Karur, Tiruchchirapalli, Ariyalur, Nagapattinam, Thanjavur, Thiruvarur, Nagapattinam, Pudukkotai, Dindigul, Theni, Madurai, Sivagangai, Ramanathapuram, Virudunagar, Tirunelveli, Thoothukudi, Kanniyakumari, Hosur, Rajapalayam, Puduchcheri, Kerala. We hold immense expertise in wholesaling, trading, distributing and supplying a broad range of Microwave Sensor -SN-MW757 . This motion sensor is ideal for Conference rooms / Meeting halls, Basements, Corridors, Offices. The offered motion sensor is developed with manual override on operational modes, universal mounting design, and quick installation mode. In addition, we also offer this motion sensor in a variety of specifications as per the need of customers. Ø Detection Range : 50%, 100%(Choice). Ø Ambient Light 25 Lux/ 2000 Lux(Choice). Conference Rooms Meeting Halls, Basements. Corridors, Offices. We Are The Leading Manufacturer And Suppliers For Microwave Sensors In South India Such As Thiruvallur, Chennai, Kancheepuram, Vellore, Thiruvannamalai, Krishnagiri, Dharamapuri, Villipuram, Cuddalore, Salem, Erode, Namakal, Perambalur, Nilgiris, Coimbatore, Tiruppur, Karur, Tiruchchirapalli, Ariyalur, Nagapattinam, Thanjavur, Thiruvarur, Nagapattinam, Pudukkotai, Dindigul, Theni, Madurai, Sivagangai, Ramanathapuram, Virudunagar, Tirunelveli, Thoothukudi, Kanniyakumari, Hosur, Rajapalayam, Puduchcheri, Kerala. We hold immense expertise in wholesaling, trading, distributing and supplying a broad range of Microwave Sensor & DIMMER & DRIVER - SN-MW736B. This motion sensor is ideal for Entrannce, Corridors, Walk Through Passages, Garage, staircase, Basement, Carparks. The offered motion sensor is developed with manual override on operational modes, universal mounting design, and quick installation mode. In addition, we also offer this motion sensor in a variety of specifications as per the need of customers. 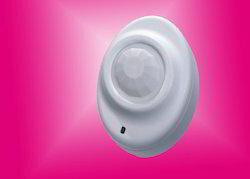 Ø Can identify day and Night: It can work in the day time and at night when two knobs are on above position(Daylight Sensor).It can work in the ambient light less than 5 Lux when two knobs are on below position(Daylight Sensor). As for the adjustment pattern, Please refer to the testing pattern. Ø Hold time is optional. it can be set according to the consumer’s desire. The minimum time is 10 sec. the Maximum is 10 min. Ø It offers 3 Levels of light: 100%--> Dimmed Light (20%Optional) à off; and 2 Periods of Selectable waiting time, Motion hold time ad stand by period. Ø Output Detection Range : 10%, 50%, 750%. Ø Detection Distance: 2-8m(radius), Standard Dimming Level -20%, Stand by Period:0s,30s,10 min, infinite Installing Height:2-4 Mtr. 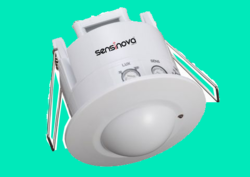 We hold immense expertise in wholesaling, trading, distributing and supplying a broad range of Microwave Sensor Dimmer Driver - SN730B.This motion sensor is ideal for Conference rooms / Meeting halls, Basements, Corridors, Offices. The offered motion sensor is developed with manual override on operational modes, universal mounting design, and quick installation mode. In addition, we also offer this motion sensor in a variety of specifications as per the need of customers. Can identify day and Night: It can work in the day time and at night when two knobs are on above position(Daylight Sensor).It can work in the ambient light less than 5 Lux when two knobs are on below position(Daylight Sensor). As for the adjustment pattern, Please refer to the testing pattern. Hold time is optional.it can be set according to the consumer’s desire.The minimum time is 10 sec. the Maximum is 10 min. Output Detection Range : 10%, 50%, 750%. Daylight Sensor: 5Lux, 15 Lux, 50Lux,2000Lux. Detection Distance: Wall: 5-15m(Adjustable), Ceiling:2-8m (radius), Adjustable, Installating Height:2-4 Mtr Ceiling Standard Dimming Level -20%, Stand by Period : 0s, 30s,10min, infinite. Entrance, Corridors, Walk Through Passages, Garage, Staircase, Basement, Car parks. 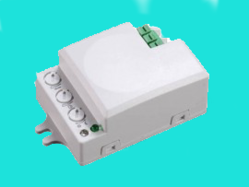 We Are The Leading Manufacturer And Suppliers For MICROWAVE SENSOR DIMMER DRIVER In South India Such As Thiruvallur, Chennai, Kancheepuram, Vellore, Thiruvannamalai, Krishnagiri, Dharamapuri, Villipuram, Cuddalore, Salem, Erode, Namakal, Perambalur, Nilgiris, Coimbatore, Tiruppur, Karur, Tiruchchirapalli, Ariyalur, Nagapattinam, Thanjavur, Thiruvarur, Nagapattinam, Pudukkotai, Dindigul, Theni, Madurai, Sivagangai, Ramanathapuram, Virudunagar, Tirunelveli, Thoothukudi, Kanniyakumari, Hosur, Rajapalayam, Puduchcheri, Kerala. We hold immense expertise in wholesaling, trading, distributing and supplying a broad range of Microwave Sensor Dimmer Driver - SN730A. This motion sensor is ideal for Entrance, Corridors, Walk Through Passages, Garage, Staircase, Basement, Carparks.The offered motion sensor is developed with manual override on operational modes, universal mounting design, and quick installation mode. In addition, we also offer this motion sensor in a variety of specifications as per the need of customers. Detection Distance: Wall: 5-15m(Adjustable), Ceiling:2-8m (radius), Adjustable, Installating Height Height:2-4 Mtr Ceiling Standard Dimming Level -20%, Stand by Period : 0s, 30s,10min, infinite. We hold immense expertise in wholesaling, trading, distributing and supplying a broad range of Microwave Sensor-Wall Mount-SN-MW752. This motion sensor is ideal for Corridor,Basements, Parking area, Aorridorr, Hospital, Multi-Apartment Complexes, Stairwaya, Colleges,Schools, Institutes. The offered motion sensor is developed with manual override on operational modes, universal mounting design, and quick installation mode. In addition, we also offer this motion sensor in a variety of specifications as per the need of customers. Detects Motions even through glass panes, thin walls, POP, Option of sensitivity control, Can be fitted in any type of decorative lamps. Outdoor Application, Time Settings upto 15 min. IP44. Detection 15m, Sensitivity Setting available, 180 Degree angle, Excellent results between -20 to +70 Deg Temperature. Ambient Light : <3-2000 Lux (Adjustable) IP44. Corridor, Basements, Parking Area, Corridor, Hospitals, Multi- Apartments, Complexes, Stairways, Colleges, Schools, Institutes. We Are The Leading Manufacturer And Suppliers For MICROWAVE SENSOR - WALL MOUNT In South India Such As Thiruvallur, Chennai, Kancheepuram, Vellore, Thiruvannamalai, Krishnagiri, Dharamapuri, Villipuram, Cuddalore, Salem, Erode, Namakal, Perambalur, Nilgiris, Coimbatore, Tiruppur, Karur, Tiruchchirapalli, Ariyalur, Nagapattinam, Thanjavur, Thiruvarur, Nagapattinam, Pudukkotai, Dindigul, Theni, Madurai, Sivagangai, Ramanathapuram, Virudunagar, Tirunelveli, Thoothukudi, Kanniyakumari, Hosur, Rajapalayam, Puduchcheri, Kerala. We hold immense expertise in wholesaling, trading, distributing and supplying a broad range of360° Flush Mount Ceiling Mount, occupancy Detector - SN-MW753 . 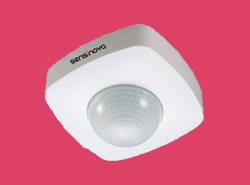 This motion sensor is ideal for Ceiling Mount in POP, Offices , Conference Rooms, Malls etc. The offered motion sensor is developed with manual override on operational modes, universal mounting design, and quick installation mode. In addition, we also offer this motion sensor in a variety of specifications as per the need of customers. 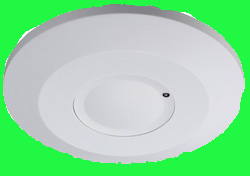 Ø Flush type for POP Ceiling mount, Sensitivity setting, Detection upto 8m radius. Indoor use, 360 Deg Detection, Excellent result between -20 to +70 Deg temperature. Ø HF System:5.8GHz CW radar, ISM Band. Ø Ambient Light : <3-2000 Lux (Adjustable). Ø Ceiling Mount in POP, Offices, Conference Rooms, Malls etc..
We Are The Leading Manufacturer And Suppliers For 360 DEGREE CEILING MOUNT OCCUPANCY DETECTOR In South India Such As Thiruvallur, Chennai, Kancheepuram, Vellore, Thiruvannamalai, Krishnagiri, Dharamapuri, Villipuram, Cuddalore, Salem, Erode, Namakal, Perambalur, Nilgiris, Coimbatore, Tiruppur, Karur, Tiruchchirapalli, Ariyalur, Nagapattinam, Thanjavur, Thiruvarur, Nagapattinam, Pudukkotai, Dindigul, Theni, Madurai, Sivagangai, Ramanathapuram, Virudunagar, Tirunelveli, Thoothukudi, Kanniyakumari, Hosur, Rajapalayam, Puduchcheri, Kerala. We hold immense expertise in wholesaling, trading, distributing and supplying a broad range of High bay Sensor / Warehouse Sensor. This motion sensor is ideal for Warehouse, Industrial Light , Highbay Light. The offered motion sensor is developed with manual override on operational modes, universal mounting design, and quick installation mode. In addition, we also offer this motion sensor in a variety of specifications as per the need of customers. Ø Ceiling Mount / Wall Mount. Installing Height 4-15m , Excellent results Between -20 to +70 Deg Temperature. IP 65. Ø Daylight Sensor : 2 Lux, 10 Lux, 50Lux. Ø Ware House, Industrial Light, High Bay Light. 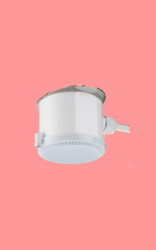 We Are The Leading Manufacturer And Suppliers For HIGH BAY SENSOR /WARE HOUSE In South India Such As Thiruvallur, Chennai, Kancheepuram, Vellore, Thiruvannamalai, Krishnagiri, Dharamapuri, Villipuram, Cuddalore, Salem, Erode, Namakal, Perambalur, Nilgiris, Coimbatore, Tiruppur, Karur, Tiruchchirapalli, Ariyalur, Nagapattinam, Thanjavur, Thiruvarur, Nagapattinam, Pudukkotai, Dindigul, Theni, Madurai, Sivagangai, Ramanathapuram, Virudunagar, Tirunelveli, Thoothukudi, Kanniyakumari, Hosur, Rajapalayam, Puduchcheri, Kerala. We hold immense expertise in wholesaling, trading, distributing and supplying a broad range of Microwave Sensor -SN-MW701E . This motion sensor is ideal for Conference rooms / Meeting halls, Basements, Corridors, Offices. The offered motion sensor is developed with manual over ride on operational modes, universal mounting design, and quick installation mode. In addition, we also offer this motion sensor in a variety of specifications as per the need of customers. Detects Motions even through glass panes, thin walls, POP, Option of sensitivity control, Can be fitted in any type of decorative lamps. Indoor Application, Excellent result between -20 to +70 Deg Temperature. Ø Rated Load : Max.1200W. Ø Slim Design easy to fit in any light fixture / POP. Ø Conference Room Meeting Halls, Basements. Corridors, Offices. We hold immense expertise in wholesaling, trading, distributing and supplying a broad range of Microwave Sensor Ceiling Mount-SN-MW700 . This motion sensor is ideal for Conference rooms / Meeting halls, Basements, Corridors, Offices. The offered motion sensor is developed with manual override on operational modes, universal mounting design, and quick installation mode. In addition, we also offer this motion sensor in a variety of specifications as per the need of customers. Detects Motions even through glass panes, thin walls, POP, Option of sensitivity control, Can be fitted in any type of decorative lamps. Indoor Application,360 Deg Detection. Excellent result between -20 to +70 Deg Temperature. Installation Height : 1.5 – 3.5 mtr. We Are The Leading Manufacturer And Suppliers For MICROWAVE SENSOR- CEILING MOUNT In South India Such As Thiruvallur, Chennai, Kancheepuram, Vellore, Thiruvannamalai, Krishnagiri, Dharamapuri, Villipuram, Cuddalore, Salem, Erode, Namakal, Perambalur, Nilgiris, Coimbatore, Tiruppur, Karur, Tiruchchirapalli, Ariyalur, Nagapattinam, Thanjavur, Thiruvarur, Nagapattinam, Pudukkotai, Dindigul, Theni, Madurai, Sivagangai, Ramanathapuram, Virudunagar, Tirunelveli, Thoothukudi, Kanniyakumari, Hosur, Rajapalayam, Puduchcheri, Kerala. MICROWAVE MOTION SENSOR - SN-MW700C. We hold immense expertise in wholesaling, trading, distributing and supplying a broad range of Microwave Sensor-Ceiling Mount-SN-MW700C. This motion sensor is ideal for Conference rooms / Meeting halls, Basements, Corridors, Offices. The offered motion sensor is developed with manual override on operational modes, universal mounting design, and quick installation mode. In addition, we also offer this motion sensor in a variety of specifications as per the need of customers. Ø Detects Motions even through glass panes, thin walls, POP, Option of sensitivity control, Can be fitted in any type of decorative lamps. Indoor Application, 360 Deg Detector. Excellent result between -20 to +70 Deg Temperature. Ø Installation Height 2-6 Mtr, SLIM SLEEK Beautiful in looks and asthetics. Ø Conference Rooms Meeting Halls, Basements. Corridors, Offices. We Are The Leading Manufacturer And Suppliers For MICROWAVE SENSOR - CEILING MOUNT In South India Such As Thiruvallur, Chennai, Kancheepuram, Vellore, Thiruvannamalai, Krishnagiri, Dharamapuri, Villipuram, Cuddalore, Salem, Erode, Namakal, Perambalur, Nilgiris, Coimbatore, Tiruppur, Karur, Tiruchchirapalli, Ariyalur, Nagapattinam, Thanjavur, Thiruvarur, Nagapattinam, Pudukkotai, Dindigul, Theni, Madurai, Sivagangai, Ramanathapuram, Virudunagar, Tirunelveli, Thoothukudi, Kanniyakumari, Hosur, Rajapalayam, Puduchcheri, Kerala.